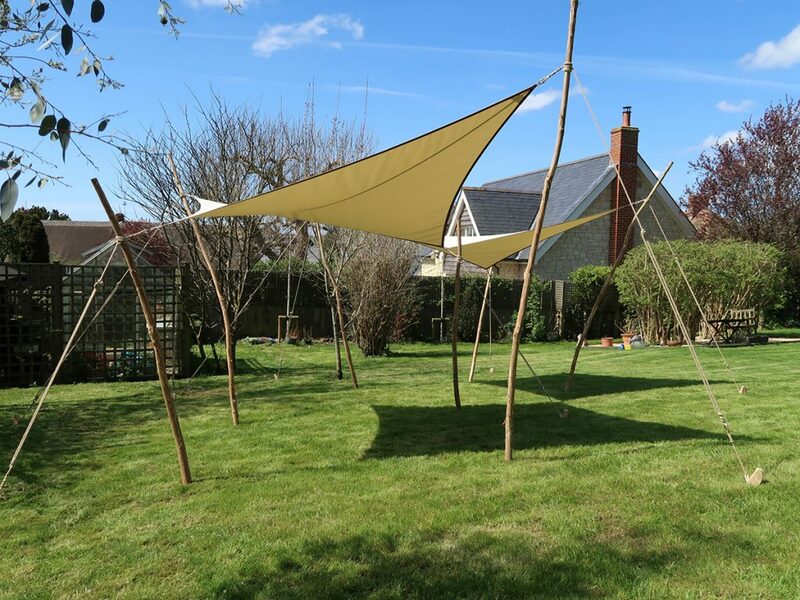 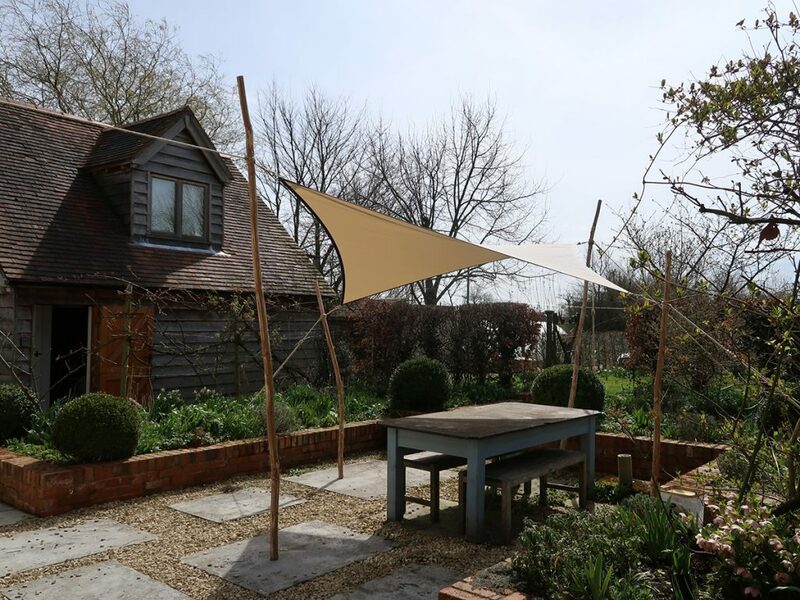 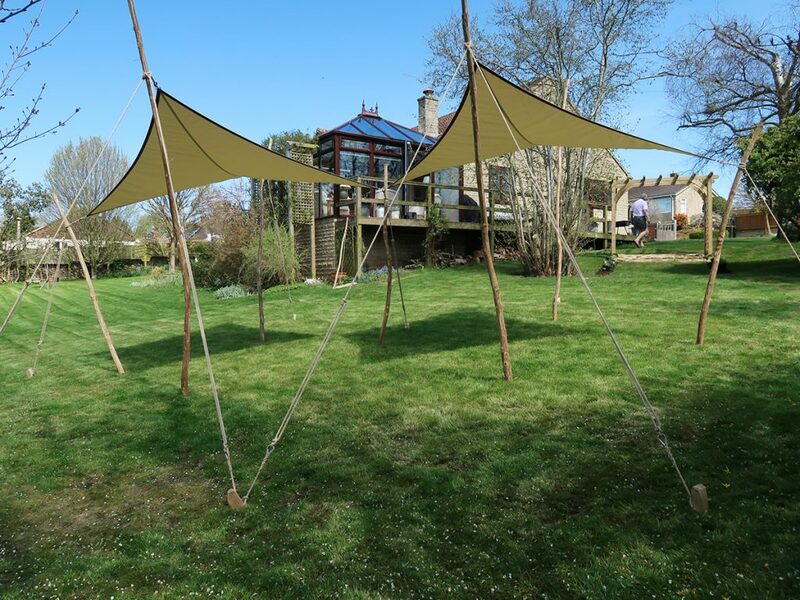 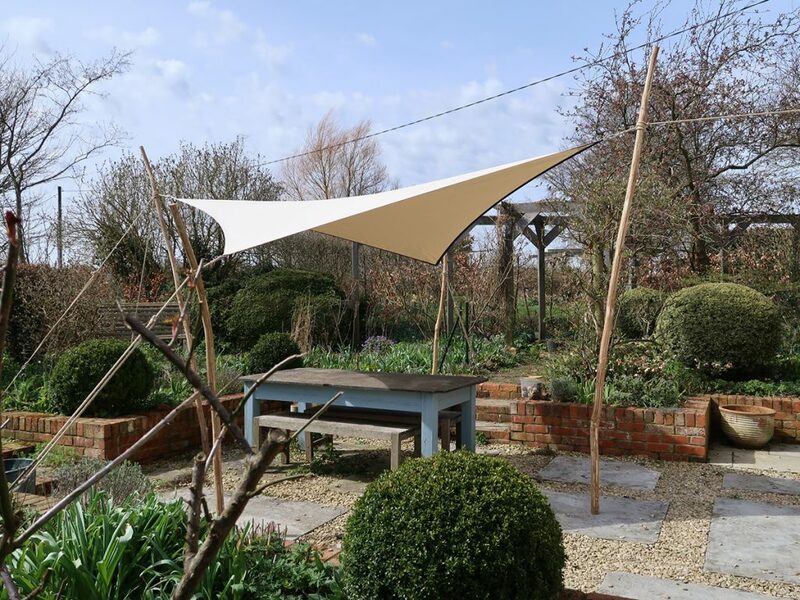 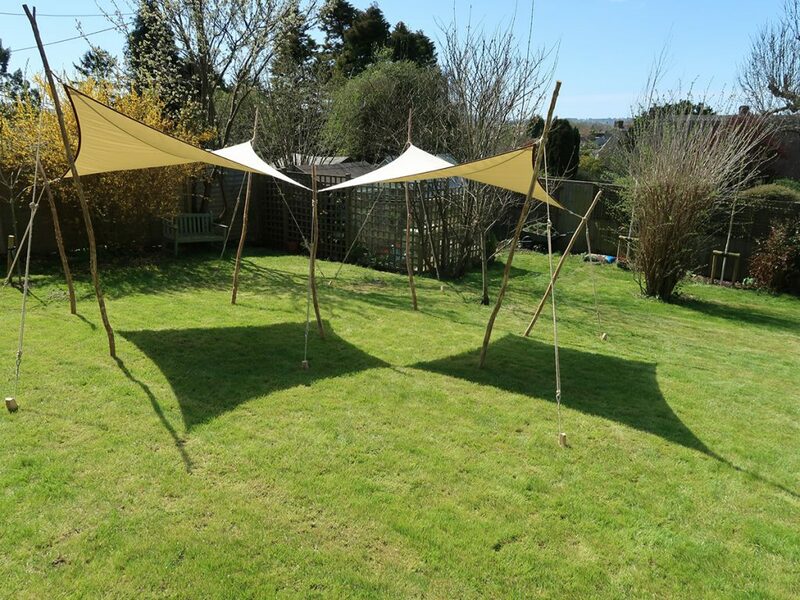 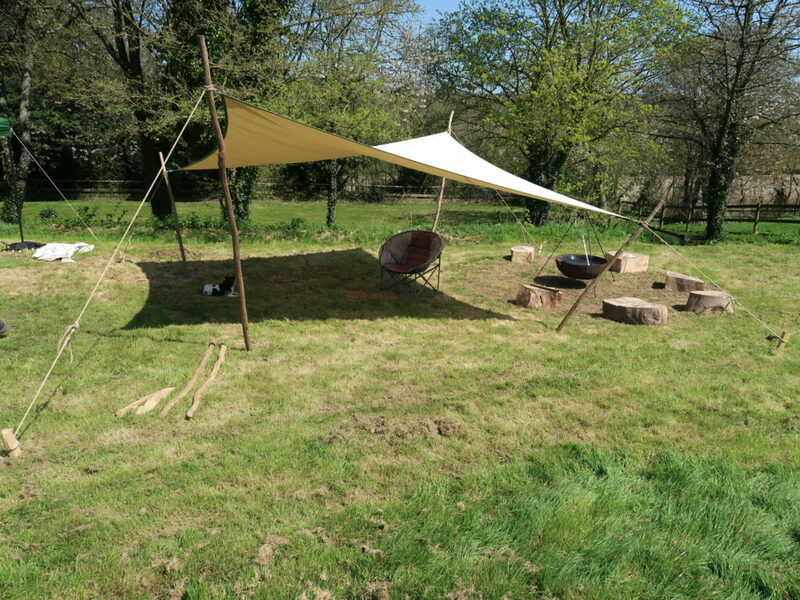 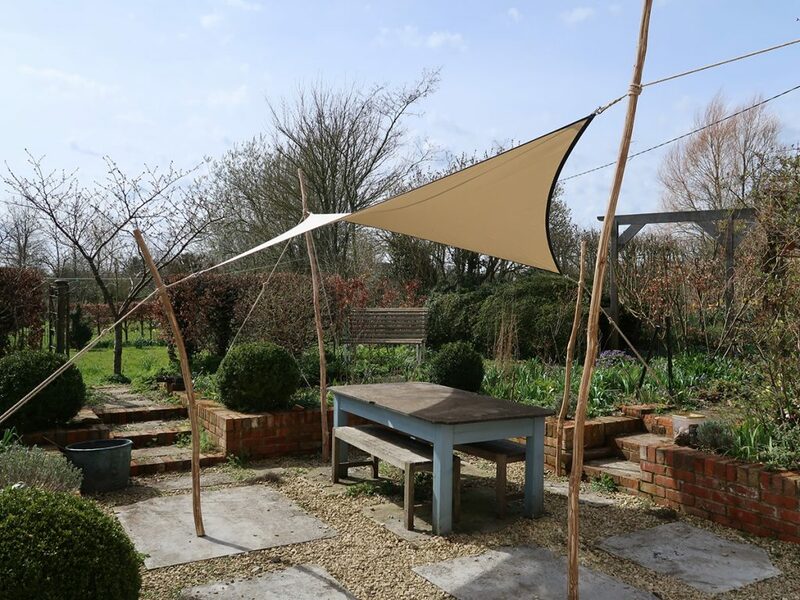 Our standard Garden Party hypar sails are available from stock currently in 2 sizes, H1 and H2. 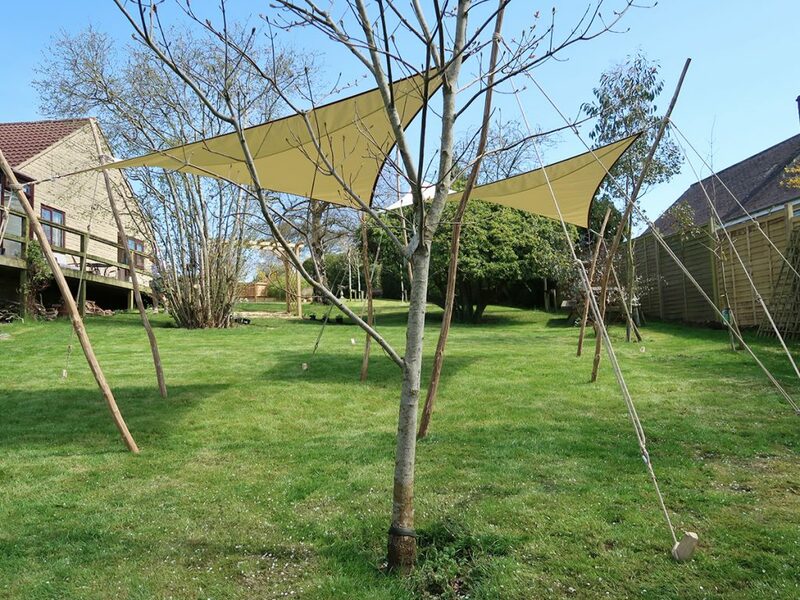 Shown here in different formats; ‘Standalone’, sold as a full kit these are stretched tight between peeled rustic poles and guyed with spliced rope guys to cleft ash peg anchors, they are attached to buildings with stainless screw eyes and slung between trees with long Kevlar ropes installed by specialist tree-climbers etc. 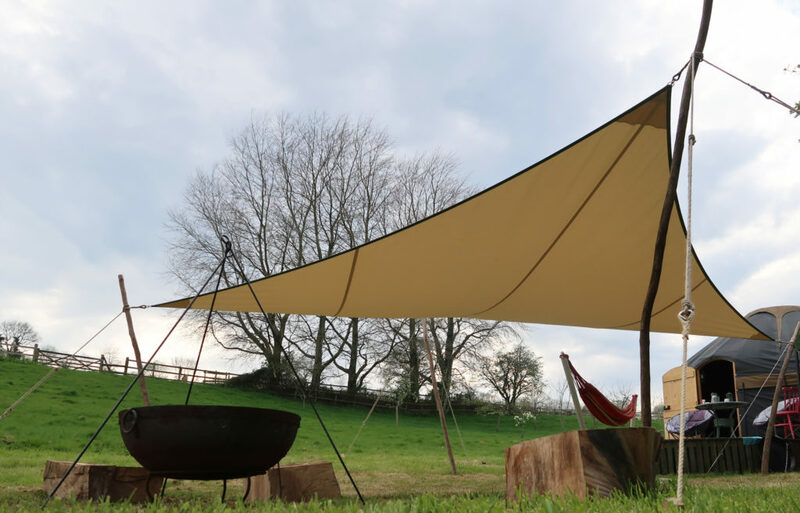 They are used for exhibition spaces, at work, for home, camping and glampsites. 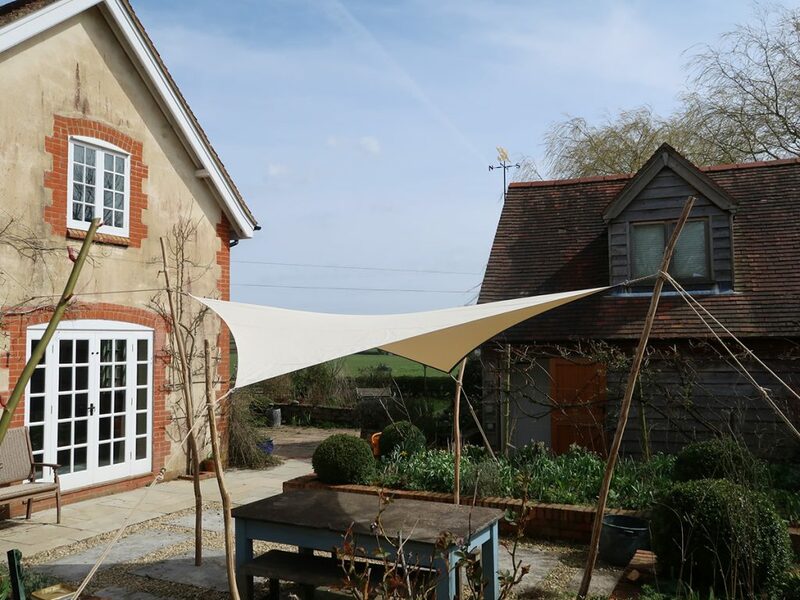 Offering a spacious, dry and sheltered outdoor space even in the worst weather, anchored securely they are robust to use permanently installed or can be easily taken down and put to store. 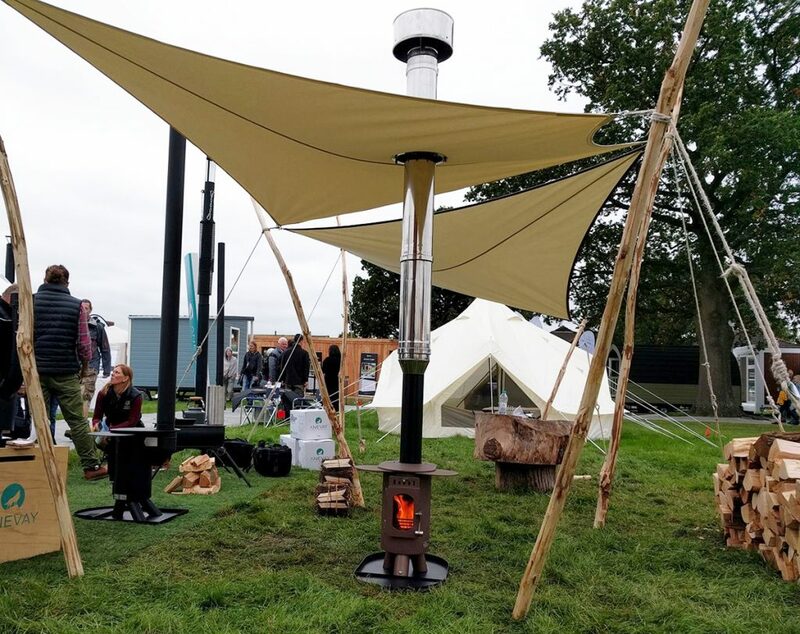 They provide shelter over deck, terrace or doorway, are proofed for fire, wet and rot and used sensibly are safe around stoves, fire-pits and campfires. 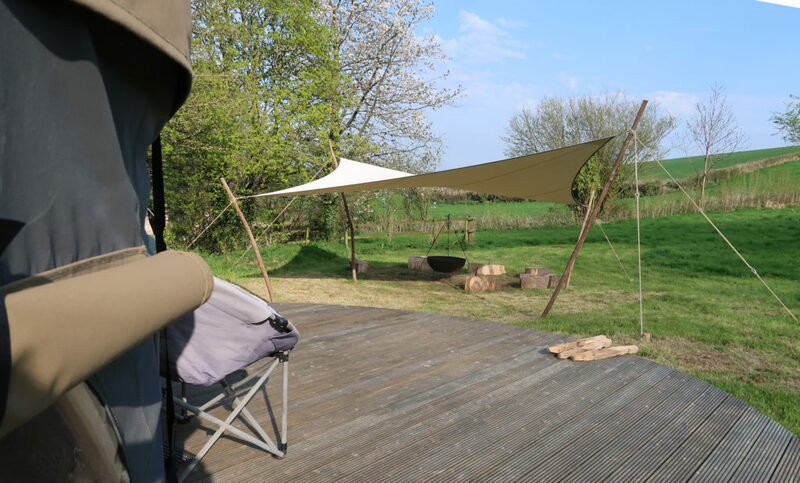 Download our leaflet here for a full breakdown of sizes, prices and itemized parts.